Our Sommelier of the Month for December 2018 is Lukas Hyner, Head Sommelier at Belmond Le Manoir aux Quat’Saisons. Lukas has very kindly answered a selection of questions which are below along with his response. I was a bar waiter working on the cruise line when my colleague resigned as a sommelier in the middle of the cruise. I didn't mind taking over for a couple of days, just whilst waiting for a replacement to arrive, but that never happened, and here we are 15 years later! 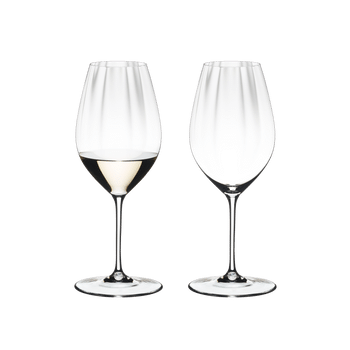 Riedel glasses help us to create a dining experience, the guests recognize the quality and Sommelier are confident serving in them knowing the wine will be showing well. People are interested why, it very often breaks the ice while talking to the guests. We are using the Champagne glass from the Riedel Performance range and it makes everyone happy including us Sommeliers, it performs well, love the size. I still remember my first glass of Lagrein while working in South Tyrol, I hadn’t been Sommelier at that time but I'm sure that's where the seed was planted. Serving wrong wine to wrong table while the other table is watching you, it happened once or twice, not a great feeling.